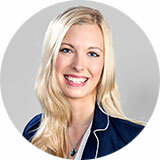 Corinna Gawron completed her bachelor’s degree in “Work Design and HR Management” at the UAS bfi Vienna. During her internship she gained experience in the field of “learning and development”. As Recruiting & Research Specialist, she actively supports the Iventa IT-Recruiting team in finding suitable candidates in the IT sector.